ANEPIGRAPHIC (no legend); bust l., laur., dr., cuir. CRISPVS/CAESAR [CRISPVS CAESAR]; rev. legend in two lines; wreath with dot above. PTR in exergue. REVERSE VARIETY. Specimen similar to TRIER 488 except for wreath on rev. instead of star. Listed in Zschucke BTP (p. 84, no. 15.8). Note, however, that this type is probably an ancient imitation. 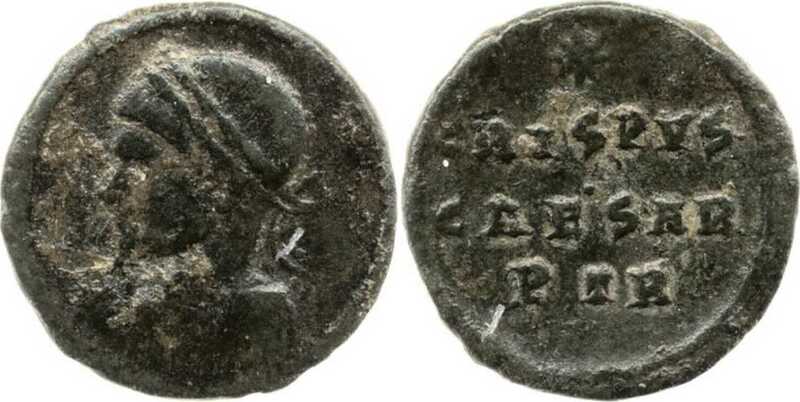 Could be noted in RIC after TRIER 488. Weight 1.25 g; diameter 13 mm. 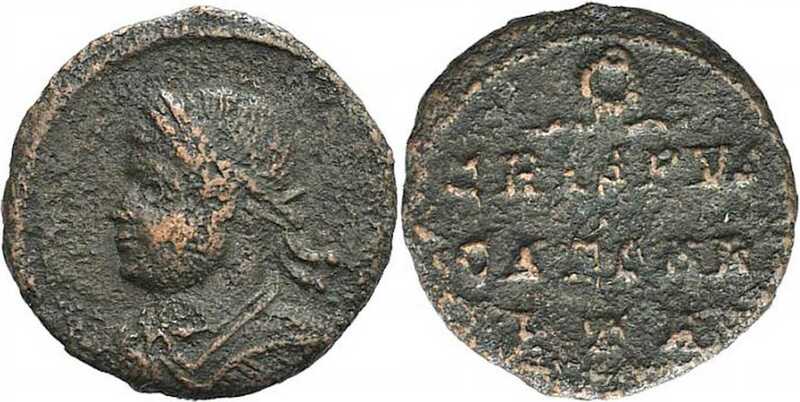 Coin sold on London Ancient Coins auction 30 (lot 217) in November 2013 for GBP 25. - from Zschucke BTP (p. 85, no. 15.8) [click for picture].